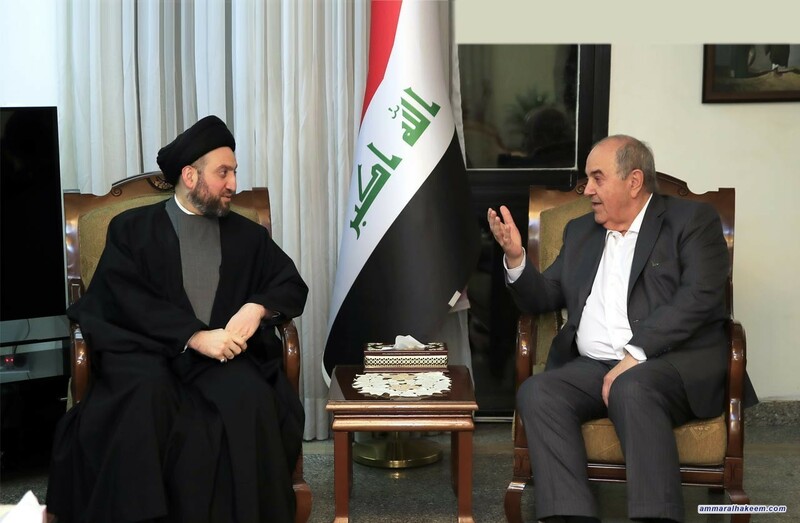 His eminence with Allawi discussed the political scene, convergence of views and unifying visions among political blocs, particularly the Reform and Reconstruction Alliance and The Al-Bina bloc. His eminence called on all political powers to shoulder their responsibilities towards the reality of Iraq, and emphasized the importance of supporting the government in implementating its service and development program, and to follow up on social most prominent needs stemming from prioritizing public interest over private interests. Regarding completing the government cabine, his eminence stressed that ministerial posts should be filled with ministers who are the most efficient, honest and capable of managing.